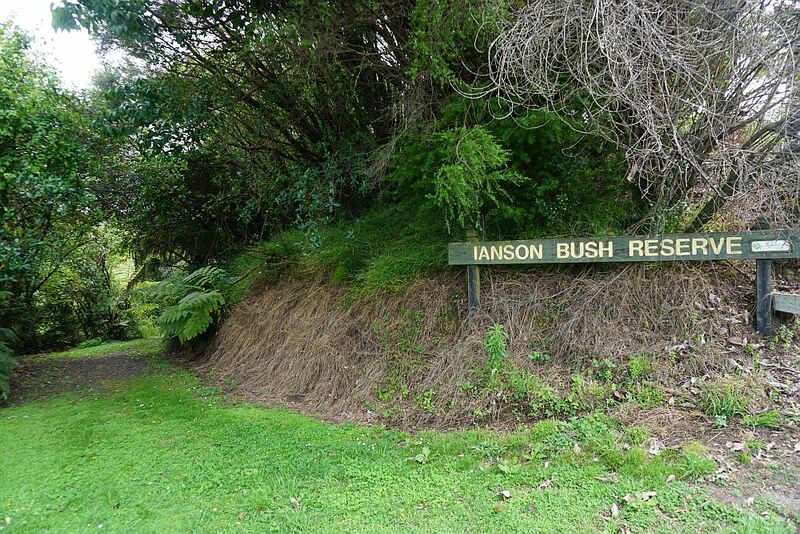 The I’Anson Reserve or I’Anson Bush Reserve is on a parcel of land gifted to the QEII National Trust in 1987 by K & T I’Anson. 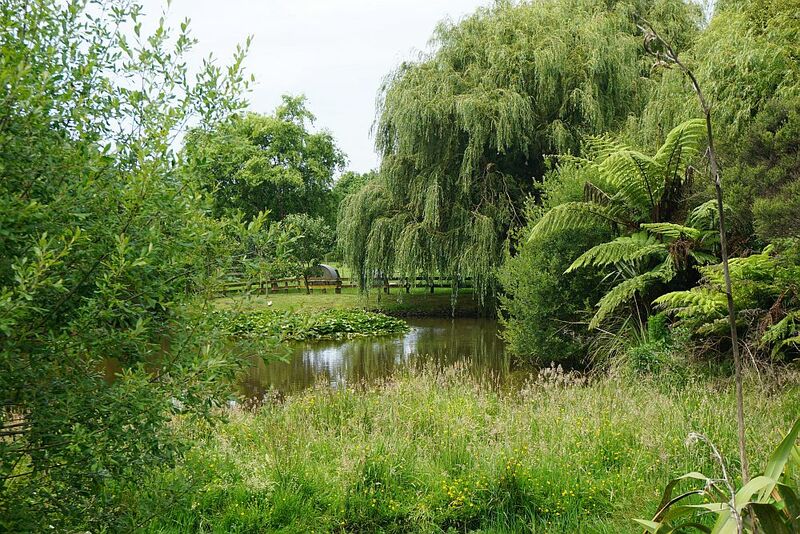 Over the years it has been turned from pasture to native bush and a small lake – Lake Taki – has been formed by damming the Waikaraka Stream. Planting has been done by Tauranga Forest & Bird, and the reserve is managed by the Western Bay Of Plenty District Council. 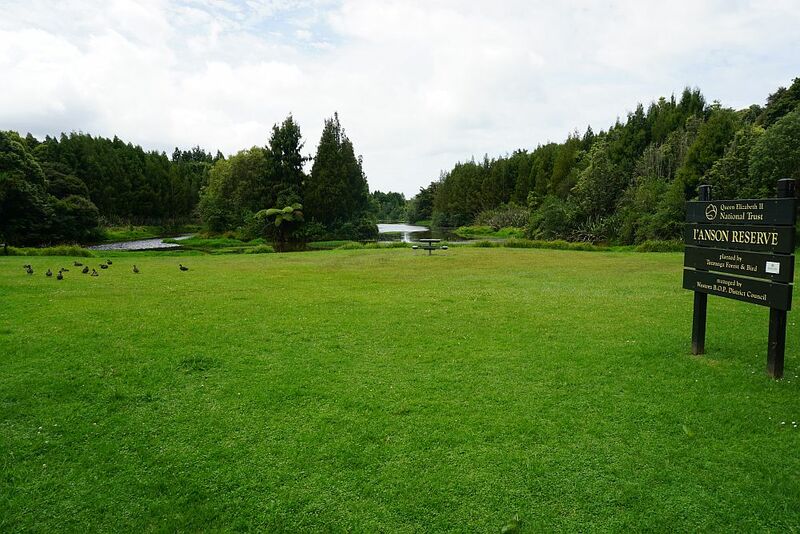 The reserve is accessed from Loop Rd, with a parking area close to SH2 at the start of Loop Rd. Loop Rd is no longer a loop, as the western end of the road is no longer accessible from SH2. 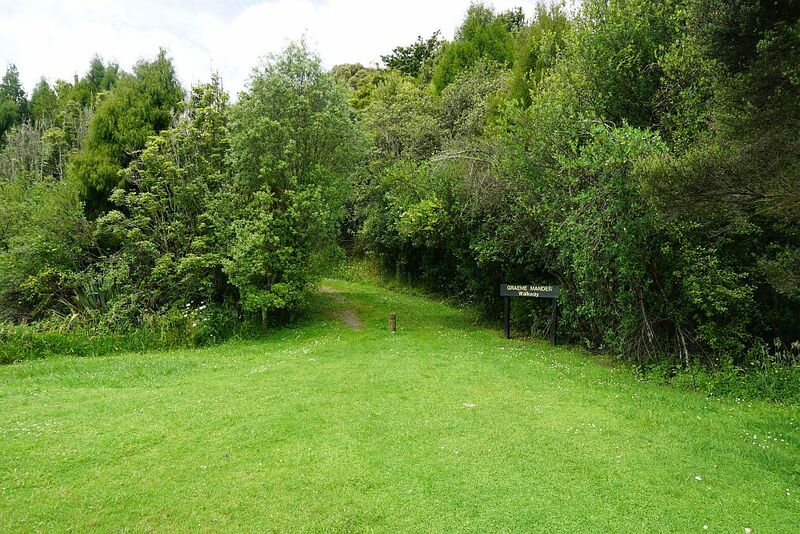 There are no toilet facilities at the reserve, but Te Puna is only a few hundred metres along SH2 from Loop Rd. There is a picnic area by the carpark, and also in various locations by the tracks. Dogs are permitted as long as they are on a leash. The tracks almost all consist of wide grassed paths, almost level with no steep inclines anywhere. They could be travelled by wheelchair. The walking tracks follow along both sides of the lake before joining and continuing on to Armstrong Rd at the northern end of the reserve. The track to the west of the lake (Reg James Walkway) has almost continuous tree cover, while the one to the east (Graeme Mander Walkway) is more open. From the north end of the lake to Armstrong Rd is almost all open. There is a crossing over the waterway between the two tracks, and they are joined again further north. 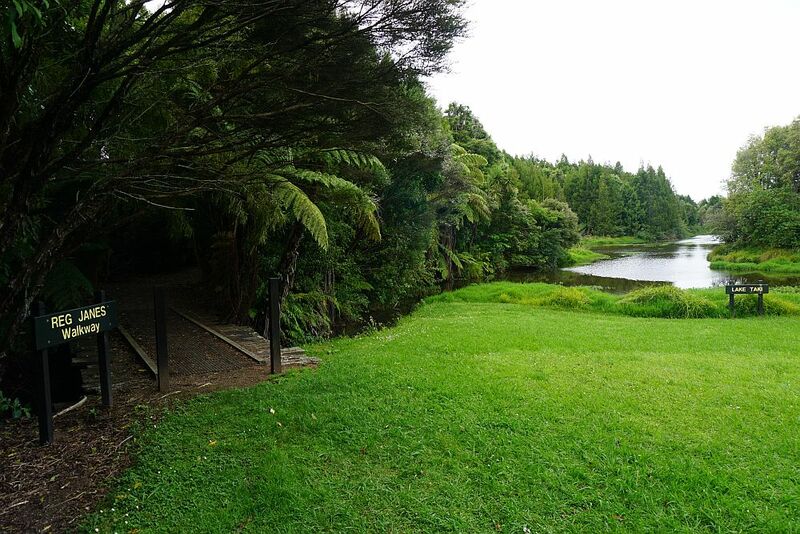 By the entrance to I’Anson Reserve, with Lake Taki. The start of Graeme Mander Walkway. The track continues as a wide, grassed walkway. Looking across the stream to private farmland just north of the point where the two walkways join. At the northern end of the reserve, by Armstrong Rd. Entry or exit here is by foot only, with a locked gate allowing for authorized vehicle access. From the joining path between the two walkways, at the northern end of Lake Taki. The start of the Reg James Walkway on the left, and the southern end of Lake Taki. The total distance walked was about 2 km, taking about 35 minutes. 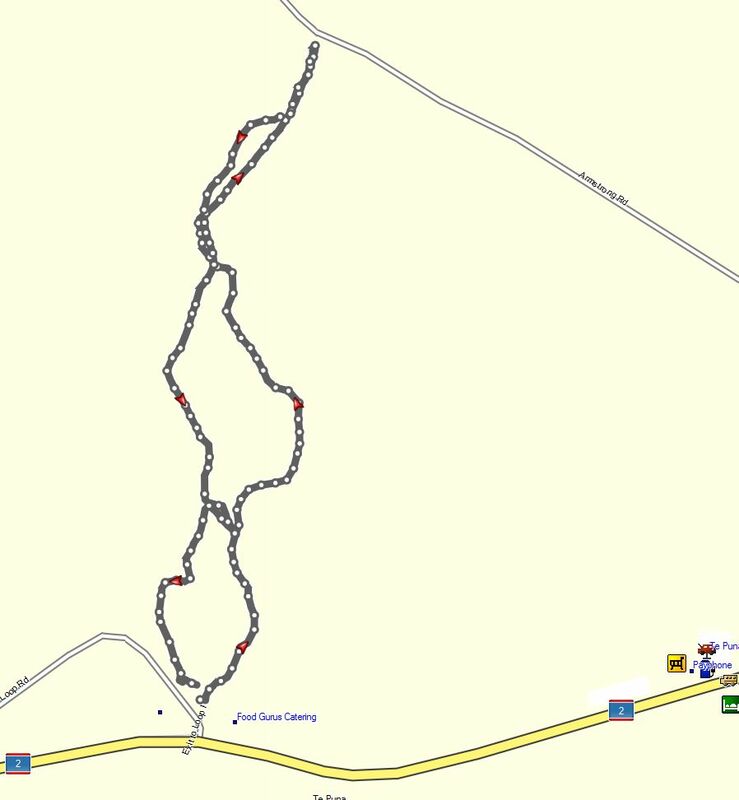 The GPS track log shows the start from the parking area on Loop Rd at the southern end of the reserve, and the northern end at Armstrong Rd. The tracks were walked on December 25, 2014. 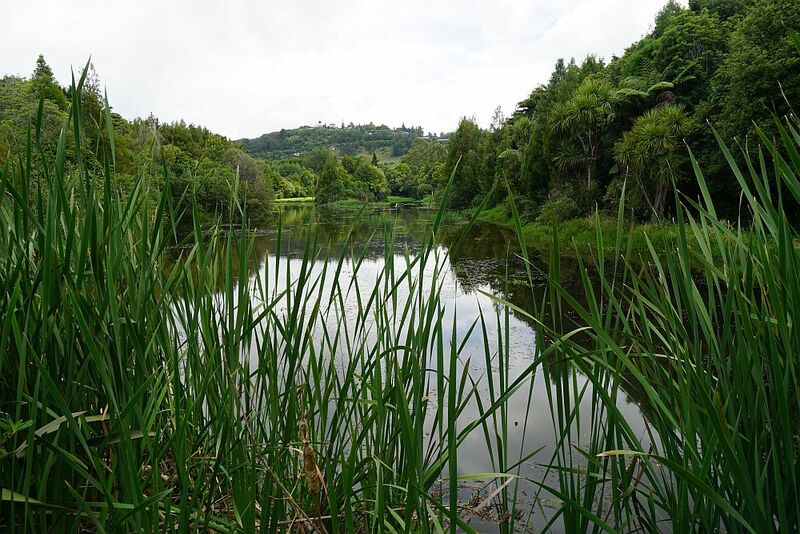 This entry was posted in Walks and tagged I'Anson Reserve, Tauranga, Te Puna on 2014-12-25 by nzartig. I feel your comment that it is ‘wheelchair friendly’ is a stretching it.There are some points where the slope is a test for a wheelchair. If accompanied by someone able to push,you will probably make it.At other points depending on rainfall there can be mud or large gravel.Give it a try,however please don’t rate it as easy with no inclines,it has a few. Better to be honest -a good deal of it has leaf litter and soft ground. We walk it regularly all year round but avoid it after heavy rainfall. I’m sorry if you find my description misleading. However I never used the term ‘wheelchair friendly’. It says the paths ‘could be travelled by wheelchair’. Which someone was doing on the day I did the walk. But with the paths being mainly grass areas wheelchair users would presumably be advised to avoid these when they are soaking wet. Also the term I used was ‘no steep inclines’ which, from memory, is correct. It’s now more than 4 years since I walked the tracks, and obviously many things could have changed in the meantime.